Lil Stubby compact underwater marine brush for under water hull cleaning. Fiberglass handle with non-slip grip. Angled nylon bristles for flat, curved & complex angles. 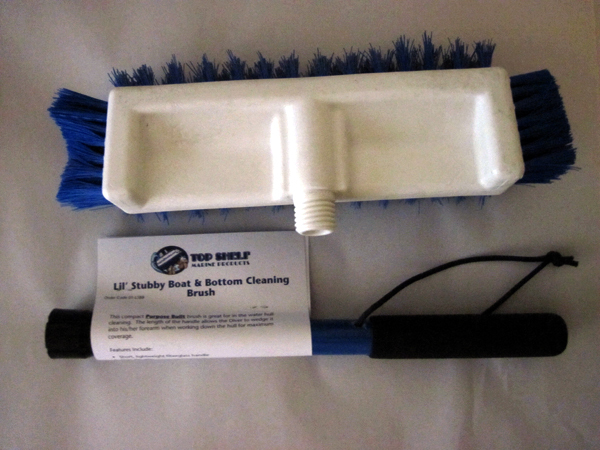 Lil Stubby wide boat hull scrubber works fast, has affixed lanyard and floats. 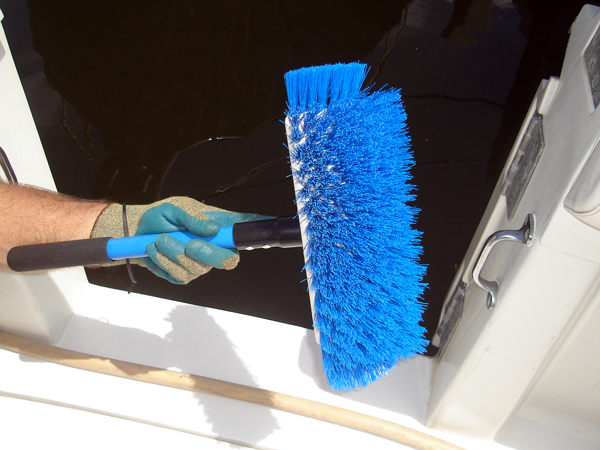 The Lil Stubby compact boat brush has angled bristles for working on flat, curved and complex angles on hulls under water line. It also has side bristles on each side for tight work. 18.5 inch overall length, the handle easily wedges into diver forearm when working down the hull. 12.5 brush head means less passes and quick coverage of large areas. Floating handles comes pre-installed with lanyard to prevent Lil Stubby from floating off. 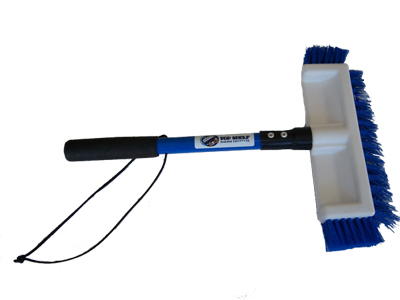 Easy disconnect of brush head from brush handle allows tool to be stowed away compactly and quickly. Great brush. Strong bristles and does a good job.